This week has been a real eye pleaser. 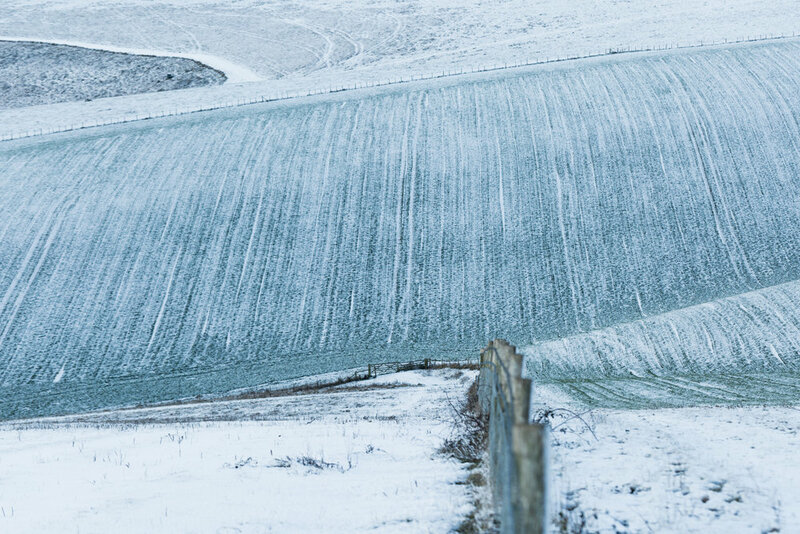 Frost after frost, sprinklings of snow, darks and whites coating the downs. On Wednesday I cycled along the South Downs Way through snow as deep as my fist. The only tracks visible were those of wildlife and the path the wind had forged into turrets and channels. Contrasting lines and exciting compositions were in abundance. It was a blessing to see two foxes run across my path and I did capture them in a similar photo to the one below, yet I found this one to be the most visually unusual.